The Belo Mural from A. H. Belo Corporation, owners of the Dallas Morning News, is preserved at the Briscoe Center for American History. The Briscoe Center’s collection of news media has no equal. It is a gateway to learning the eyewitness history of who we are, who we were, and how we perceive ourselves as a nation. 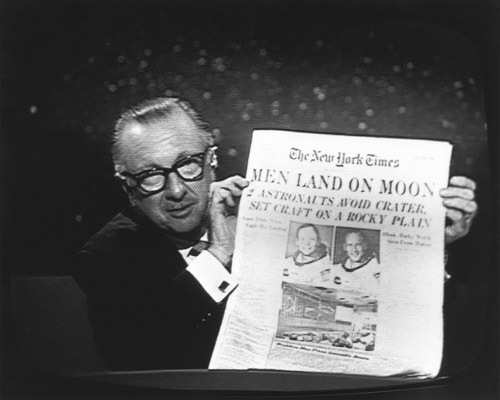 Walter Cronkite reporting on the NASA moon landing for CBS News. 1969. Walter Cronkite Papers. Briscoe Center for American History. 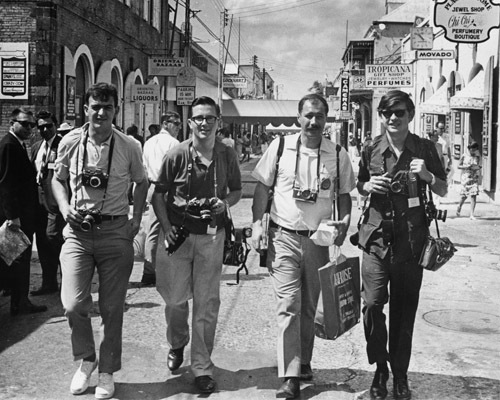 Eddie Adams and Dirck Halstead with two fellow photographers. Dirck Halstead Photographic Archive. Briscoe Center for American History. 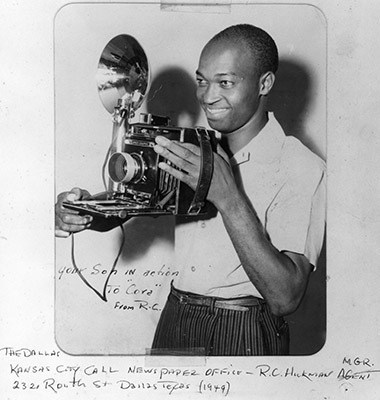 Photographer R. C. Hickman posing with his camera. Inscription reads, “Your son in action. To ‘Cora’ from R.C.” 1949. R. C. Hickman Photographic Archive. Briscoe Center for American History. 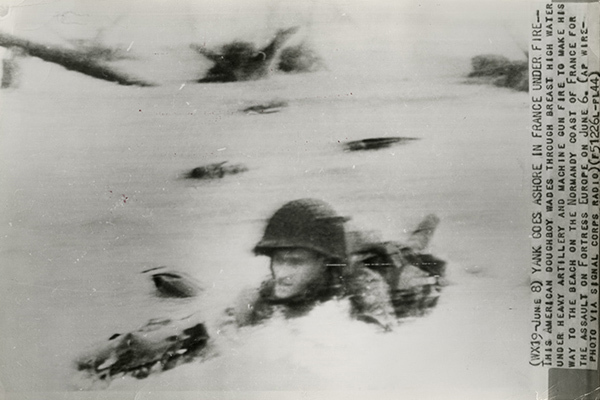 Yank Goes Ashore in France Under Fire, image by Robert Capa. Alan L. Paris Photojournalism Collection. Briscoe Center for American History. 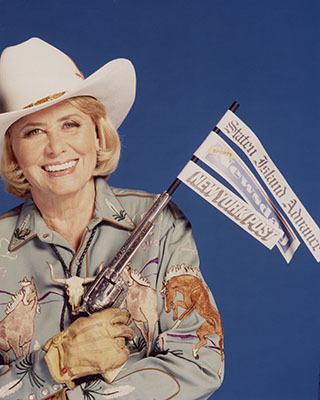 Award-winning gossip columnist Liz Smith. Liz Smith Papers. Briscoe Center for American History. 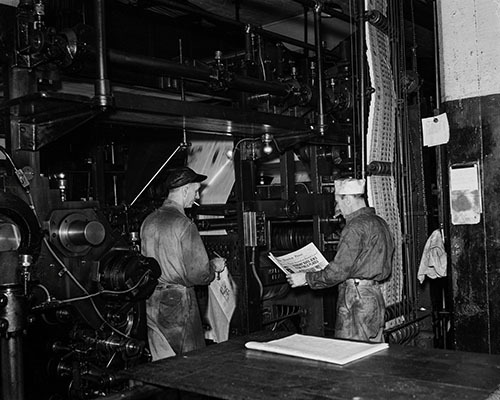 Newspaper printing press and employees. 1938. Bob Bailey Studios Photographic Archive. Briscoe Center for American History. Marion Goldin, producer of 60 Minutes. 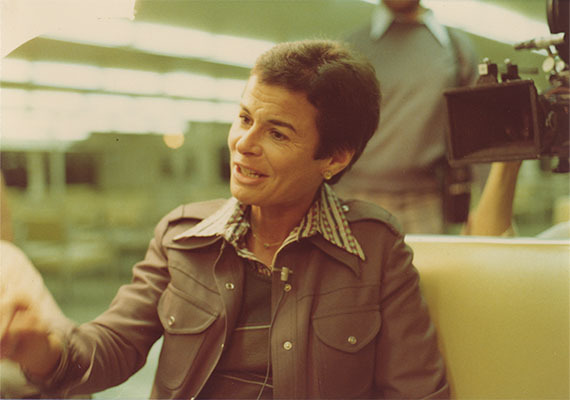 Marion Goldin Papers. Briscoe Center for American History. 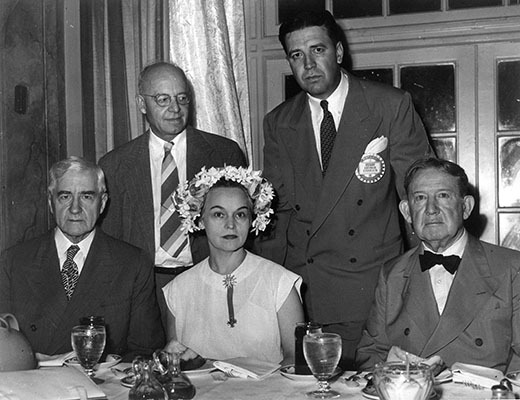 Houston’s newspaper establishment during the Red Scare: Jesse H. Jones, M. E. Walter, Oveta Culp Hobby, George Carmack, and former governor William P. Hobby. Jesse H. Jones Papers. Briscoe Center for American History. 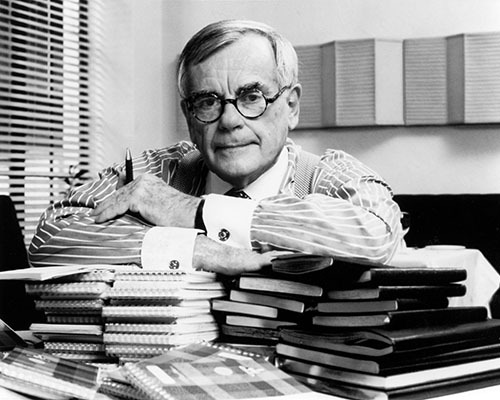 Columnist Dominick Dunne. Dominick Dunne Papers. Briscoe Center for American History. In April 1964, CBS debuted “Robert Trout with the News 'til Now,” the first news program of its kind with a daily newscast in which Trout served as an “anchor.” Robert Trout Papers. Briscoe Center for American History. The Briscoe Center for American History collects, preserves, and shares the evidence of the past, revealing the American story to everyone who wants to learn. Dating back to 1883, the Briscoe Center’s collections represent more than a century of collection efforts at The University of Texas at Austin. Its archives, libraries, museums, and historic buildings document the people, events, and ideas that have shaped America. Preserving and sharing the center’s collections helps ensure that the history at the heart of American identities, origins, and values remains rooted in evidence. For over three centuries, news publications have shared matters of critical importance to support an informed public, documented the development of communities across America, and provided a vital forum for the exchange of ideas. It’s a story of change and adaption, from the first printed periodicals and broadsides to the emergence of the modern newspaper and magazine industries. 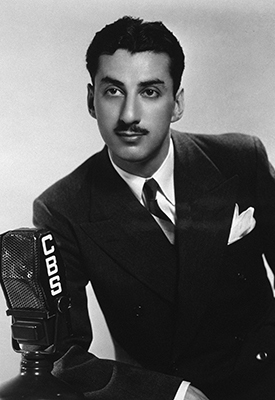 Radio, photojournalism, and television represented major shifts in the delivery of the news in the twentieth century. The advent of social media signifies another seismic shift. Regardless of the form it takes, news reporting has always played a vital role in American society, a role and a freedom enshrined in the Constitution. Researchers often rely upon the materials produced by journalists—history’s “first responders”—to help them make sense of historic events. News media resources assist students, teachers, and scholars of all disciplines—from advertising to psychology, politics to photography—in their research. Archival materials—documents, photographs, recordings, correspondence, and other objects—allow us to engage more directly with history. These resources lend texture, color, context, and sound to almost every avenue of inquiry. Andy Rooney’s typewriter, Andy Rooney Papers. Briscoe Center for American History. The Briscoe Center for American History’s news media holdings are nationally renowned—one of the most comprehensive collections of history’s “first draft” that exists. Nearly three miles of archival materials across hundreds of separate collections include the personal papers of historically important media industry pioneers and leaders, clipping and research morgues, oral histories, over 5,000 newspaper titles, thousands more audio and video recordings, and over 7 million photographs. Highlights include the papers of Walter Cronkite, Morley Safer, Andy Rooney, Jules Witcover, Jack Newfield, and Robert Trout, as well as one of the largest archives of American photojournalism in existence, which includes the collections of Pulitzer Prize–winners Eddie Adams, David Hume Kennerly, Steven Ralph Nickerson, Lucian Perkins, and Carolyn Cole. Newspaper collections include the frontier newspapers of Stephen F. Austin’s Texas colony, the Texas Gazette (1829), and the African American newspaper The Free Man’s Press (1868). The center also boasts major runs of the Houston Post (1932–1995), The Texas Observer (1952–2004), and the research archives of the New York Times (ca. 1910–ca. 1989), Newsweek (1933–1996), and New York Journal American (1900-1966). 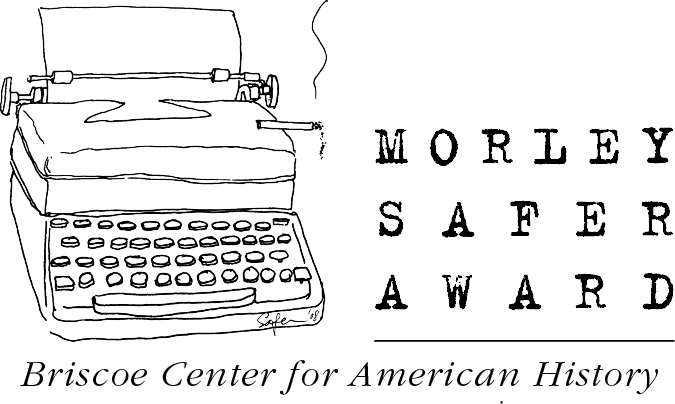 Nationally renowned columnists such as Walter Winchell, Molly Ivins, and Liz Smith; Pulitzer Prize–winning cartoonist Ben Sargent; Vanity Fair writer and television commentator Dominick Dunne; and writer and magazine editor Terry McDonell have all donated their papers to the center. Additionally, the center is the home of the records of WRR of Dallas, the first radio station to broadcast in Texas. The collection continues to grow. Recent acquisitions include the research archive of Wayne Barrett, a Village Voice reporter, who amassed the most comprehensive investigative reporting archive about Donald Trump from the 1980s to inauguration known to exist. Other additions include the archive of Robert Moskin, senior and foreign editor for Look magazine for nearly twenty years; the photographic archive of Stephen Shames, most well known as the photographer to the Black Panther Party between 1967 and 1973; and four more producers from the acclaimed 60 Minutes newsmagazine, including Marion Goldin and George Crile. Together, these collections enhance our understanding of events of the past, the role of the news media, and its impact on all segments of American society. 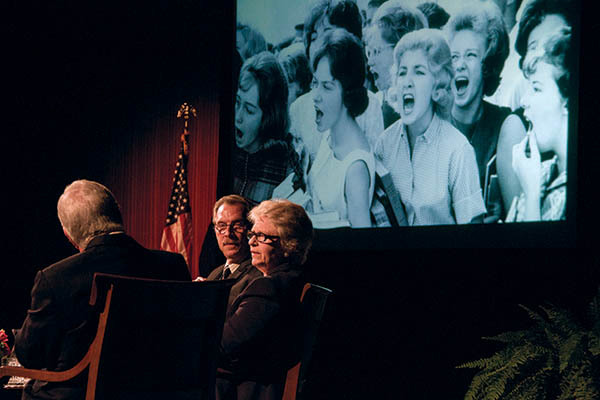 “An Evening with Diana Walker and Lucian Perkins” held in conjunction with the Briscoe Center’s 2013 exhibition News to History: Photojournalism and the Presidency. Graduate students use our collections for their dissertations such as Mike Conway’s The Origins of Television News in America: The Visualizers of CBS in the 1940s. Digital projects such as Dan Rather: American Journalist, which provides access to extensive photo, print, video and audio documentation about the life and career of Rather and his impact on American journalism. Without sources, there is no journalism. The same is true for history. That’s why the center, under the direction of Dr. Don Carleton, a scholar in the history of news media and politics, has spent a quarter of a century collecting, preserving, and sharing news media history collections. Philanthropy makes our efforts to share these resources through books, exhibitions, digital projects, symposia and graduate research possible. Preserving and sharing the center’s collections helps ensure that the history at the heart of American identities, origins, and values remains rooted in evidence. 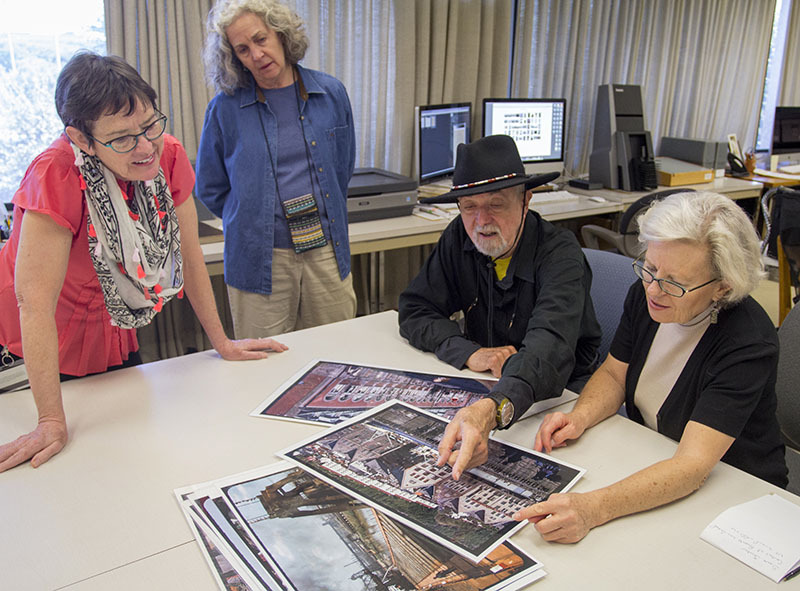 Photojournalist J.B. Colson and Briscoe Center staff reviewing a collection acquisition. Archives enable societies to critically analyze historical trends, to measure cultural impacts, to provide context for present controversies, to ask hard questions, to encourage discussions, and to justify change. At a time when members of the press are being called “the enemy of the people,” it is imperative to offer this evidence for a critical study of the American news media. The Briscoe Center seeks to solidify our leadership position in collecting, preserving, and making the history of news media available to a wide audience with an endowment of $6 million to fund the collection in perpetuity. The endowment would support a senior curatorial position as well as collection resources. A curator of news media history is needed to focus his or her full attention on developing relationships with news media professionals and news organizations, to continually build the collections, and to guide curation efforts through exhibitions, programs, publications, and digital projects. A named Curator for News Media History may possibly be the first endowed curator of news media history anywhere. This person will be known as the <Donor’s Name> Curator and will use the byline of <Donor’s Name> Curator for News Media History in research articles, publications, curated exhibitions, and in news stories about the collections. Thus, over time, an important body of scholarly work will be credited to the donor’s support of the preservation and interpretation of news media history. The endowment will also fund collection support staff including an archivist, a graduate research assistant, a graduate intern in archival enterprises, and research fellowships for graduate students and visiting scholars working on dissertations, articles, books, or media projects based on the collection. The Briscoe Center is grateful to the Marion Goldin Charitable Gift Fund for providing leadership support of exhibitions, programs, and projects in the center’s News Media History Collections. For more information on naming opportunities, or how you can help grow the Briscoe Center’s News Media History Collections, please contact Lisa Avra, CFRE, at 512-495-4696 (office); 512-731-2704 (mobile); or l.avra@austin.utexas.edu.